As much as Avengers: Age Of Ultron is reported to have broken returning director Joss Whedon, it fails to break expectation. It’s keenness to please is often its biggest downfall. The ragtag team of Earth’s mightiest heroes are thrown back together when technology Tony Stark (Robert Downey Jr.) found works against them, creating deadly AI Ultron (James Spader). 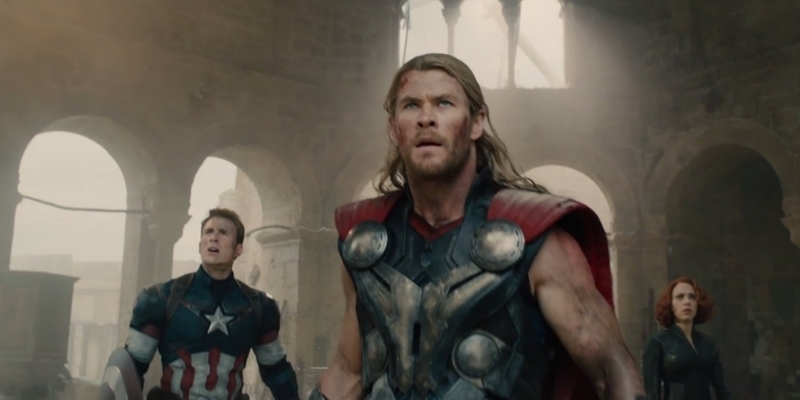 Like most sequels, Age Of Ultron is bigger and darker, yet also fitful and cumbersome. For all the moments of sheer brilliance, mayhem and comical undercurrent, it slumps under a disjointed narrative that skips from one idea recklessly. The action is entertaining to a point, and the characters – aside from Hawkeye (Jeremy Renner) and Black Widow (Scarlett Johansson) – are no more fleshed out. Avengers: Age Of Ultron has many merits, which include an inspired piece of casting in Spader and the notion of how artifical intelligence is still an unknown, and does what it says on the tin. But there’s no denying that Marvel can do better. I actually thought this was their best one to date, but I can understand why some would feel it was a little messy. My expectations were so low though, and I saw it at the IMAX, so that clearly would have an impact. Nothing can go wrong with avengers, can’t wait to go and see it. I do feel that there were too many one liners especially on a certain character(whose identity i withhold)’s death. The fight scenes were often a bit clumsily put together too and at times you forget where Ultron actually is because he’s been off the screen for so long – that’s the main trouble when you’re putting together a film like this but i think it could’ve been handled better myself. Completely agree with you that the characters were overdeveloped, and as well as that, I felt Thor’s role in the film was a bit incomplete, as in, what he was doing for a large portion of the film wasn’t really explained, or described, and the importance of it wasn’t really stressed. That might’ve been due to the fact that I’ve only seen the cinematic cut of the film, the directors cut is allegedly much much longer.